But where? Well, that probably depends on where you live. I ran across this post on the Freakonomics Blog (part of the NY Times) bemoaning the difficulty of sorting recycling in Germany*. We have four different containers in front of our building: paper (blue), packaging (yellow), biological (green), and the rest (gray) — and that doesn’t include the containers for three different kinds of glass (green, brown, and old) at the local park. We are confused about what goes where and spend lots of time transferring refuse from one container in our apartment to another before deciding where to throw them outside. We’re probably right most of the time — and the additional sorting beyond what we do in the U.S. (where we only have garbage, paper, and glass/plastic containers) does reduce the negative externalities to the environment. 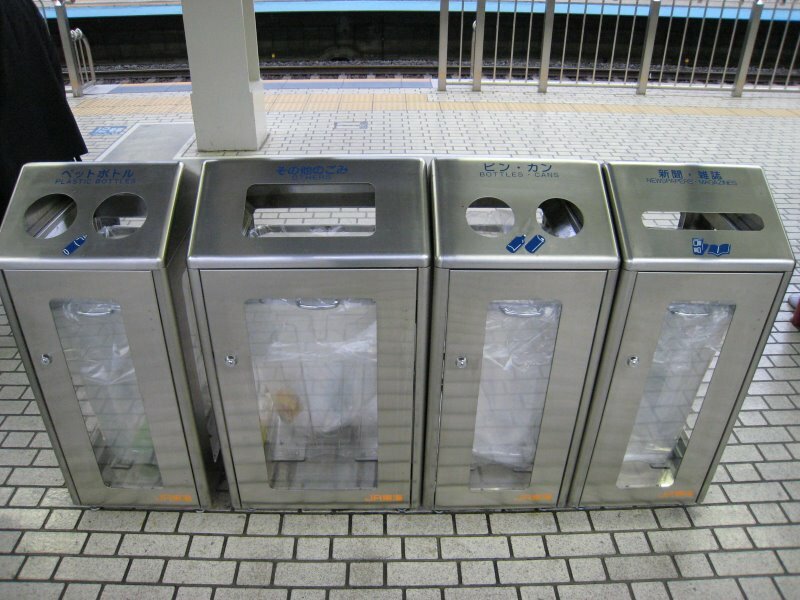 At the same time, the transactions costs of garbage sorting here are substantial, and I wonder if they can be justified by the environmental improvement that results. Our time has value, and that is being ignored. Oddly enough, over the weekend I talked with a recent German transplant bemoaning the American recycling system as being too confusing because there wasn’t a separate container for each category of garbage. (He specifically wanted a place to put leftover foodstuffs rather than just in the regular trash.) If you think about it, it does take general knowledge and specific experience to put “plastic coated cereal box” and “chicken trimmings” together in a container. Both cultures believe the unfamiliar system slows them down. The exact definition of what is burnable, non burnable and recyclable depends on the municipality. I would be willing to bet the Japanese make signs in their home to hang above the garbage as a checklist of what to recycle… just like I finally did for Raleigh, North Carolina. *I wonder if they did a card sort to come up with the categories of items for each bin.